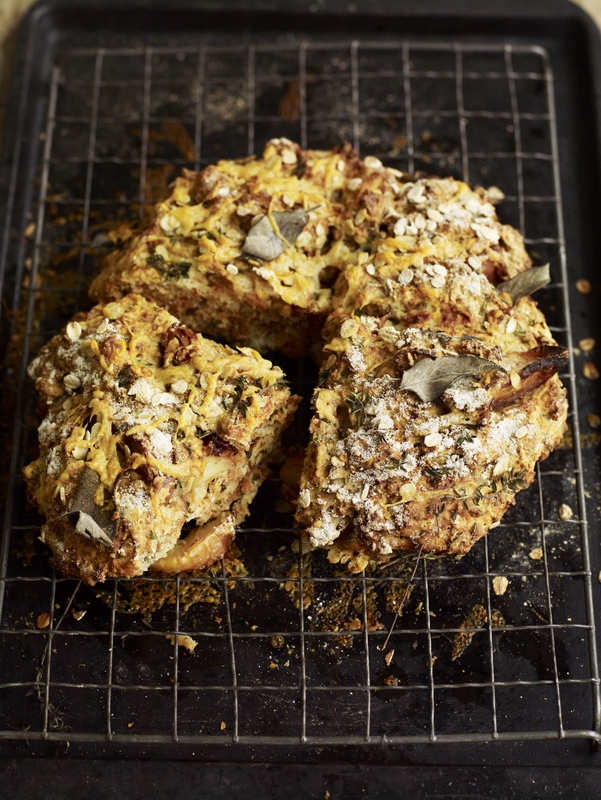 I love this textured savoury sweet soda bread. The cider gives it real character and a slight acidity that works so well with the apples themselves. It's one to pull out the bag when time is tight, as It’s so quick to make, and incredibly delicious served warm from the oven. I like to eat it with a few slices of cured ham or some decent salami. But it’s equally good simply buttered and served straight up. Cut the apples into quarters and core them then cut each quarter into 2 or 3 wedges. Set a large heavy based frying pan over a medium heat, add the butter and when bubbling add the apple pieces. Cook for 5 – 6 minutes on each side. You want them to begin to soften and caramalise around the edges. Remove the apples and allow them to cool a little. Place all the dry ingredients into a bowl, add the apples, herbs and cheese (reserving a small amount for the top of the bread) the cider and the yoghurt. Bring the ingredients together gently into a wet Dough. You won’t need to knead it, in fact, the less you work it the better. You want a rough round of about 20cm across and 10cm deep. With floured hands form the dough into a round, place the dough on a hot baking tray, scatter over a little flour and the remaining cheese and score deeply with the traditional cross. Bake for 30 – 40 mins and serve hot straight from the oven.